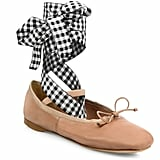 Lace-up flats have become almost a staple part of our wardrobes, but Miu Miu changed the whole game with a pair that will make you feel exactly like a ballerina, and a very cool one at that. 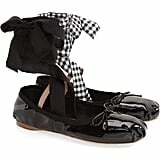 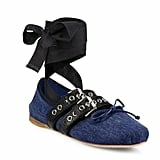 If you had a love affair with your ballet slippers as a girl, these will make you feel like you're stepping back into your old shoes, only reimagined with a punky set of buckles and mismatched black and grosgrain straps that tie up the ankle. 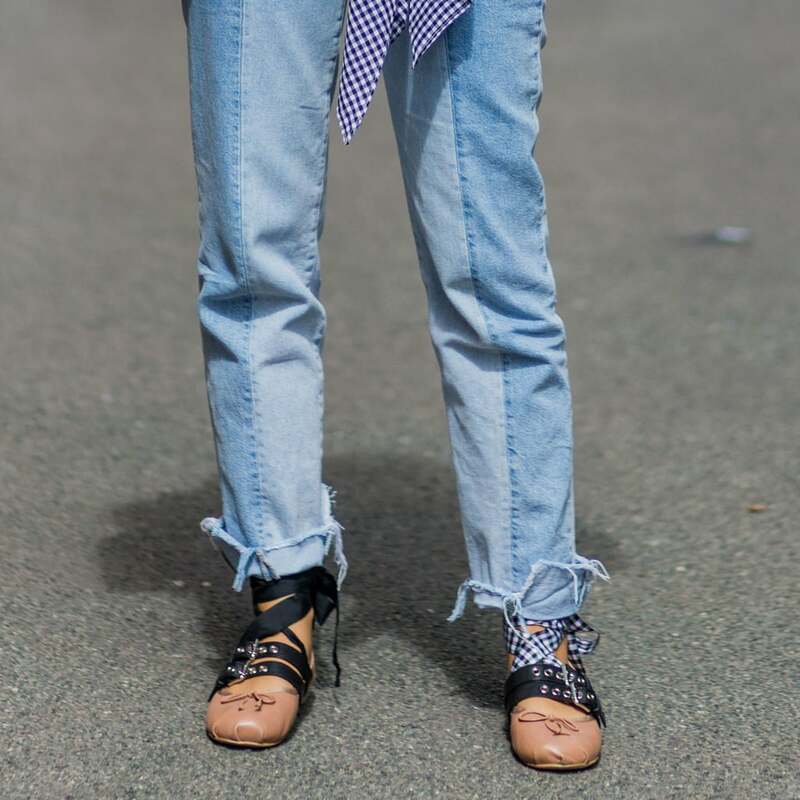 Like the Chanel slingbacks of last season, this trend is quickly becoming iconic, popping up on the streets on the heels of fashion bloggers and influencers everywhere (and inspiring plenty of copycats along the way). 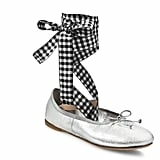 We've likewise fallen for the look, which manages to be both nostalgic and fresh, tough, and totally feminine. 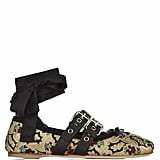 It might just be Autumn's perfect statement shoe. 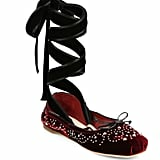 Read on to see how the style set's wearing theirs, then take the plunge and grab a pair while you still can.